SATA III 6Gb/s MSA370 mSATA SSD (Premium)Supporting the next-generation Serial ATA interface and built around a powerful controller, Transcend's SATA III 6Gb/s MSA370 mSATA SSDs deliver blazing fast performance and long-term reliability. 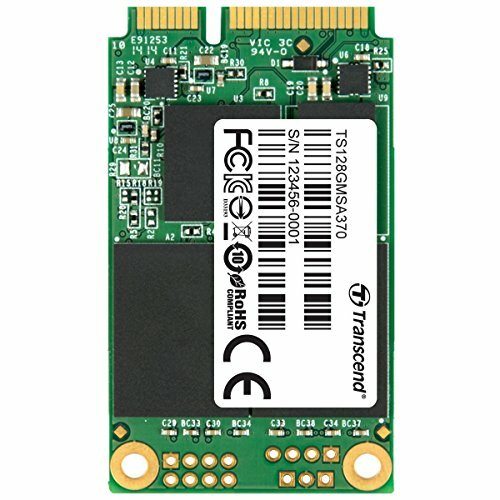 The compact mSATA form factor makes it perfect for use in space-restricted portable devices such as Ultrabooks, tablet PCs, and slim servers.Intel Smart Response TechnologyTranscend's SATA III 6Gb/s MSA370 mSATA SSD supports Intel® Smart Response Technology (ISRT), which allows you to configure your computer system with an SSD used as cache memory between the hard disk drive and system memory. This provides the advantage of having a hard disk drive for maximum storage capacity while delivering an SSD-like overall system performance experience. ISRT works by monitoring which programs and files you access most frequently and stores them on the SSD. As a result, application launch speed and overall system responsiveness are significantly improved, while the large capacity of the hard drive is free to store all your other programs and files. In this configuration, only one drive letter is displayed; no additional drive letter is required for the SSD used as cache.